Printers are the quiet saviours in any office. Often, it is easy to underestimate the impact that a printer has on the everyday capability of workers. Multifunction printers incorporate multiple products into one, combining a printer, photocopier and scanner along with faxing and emailing capabilities. They free up space which would otherwise be occupied by multiple machines, scanners and printers, and give you more room in the office for your workforce to do their job. You may be familiar with the basic tasks that your multifunction printer can perform, such as printing and copying, but many do not know the power behind scanning and could be missing out on a whole range of features that will increase your work productivity. Learn the features that your multifunction printer has and use them wisely. 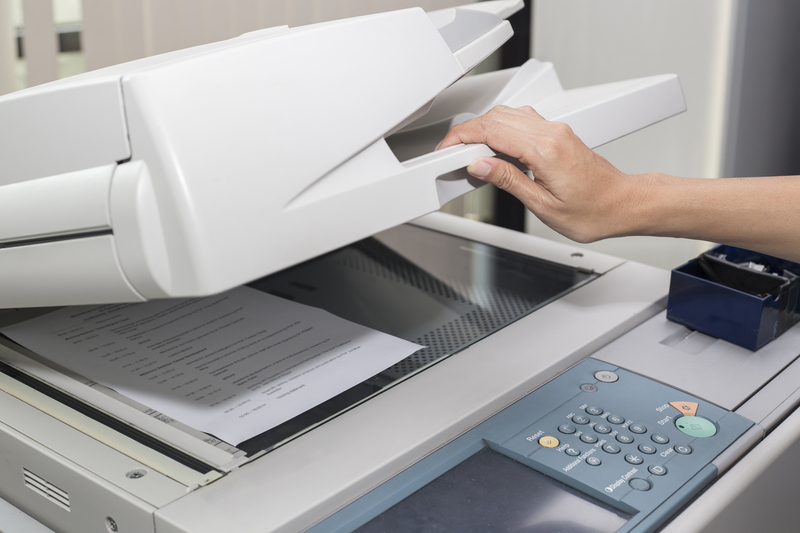 Multifunction printers with automatic document feeders (ADF) can speed up the process of scanning or copying multiple pages of text by feeding each document into the scanner automatically. Instead of copying each page individually, staff can switch their attention to something else. Scanning documents can also help to reduce the amount of paperwork and create a paper-free document storage system. Less clutter on desks not only increases space in the office, it also makes workspaces more pleasant to be in. Clear desks equal clearer minds, which means better work from your staff! It may seem obvious, but one of the best ways to make the most of your multifunction printer is to customise the settings so they are personalised to your business. Users can save money on ink by using the most basic settings on the printer, and can save paper by setting the printer to print automatically on each side of a sheet of paper. Whether you need extra security to protect your document data, differing printer speeds, eco-friendly printing settings or priority printing, many multifunction printers offer a host of extra settings to ensure that they perform exactly how you want them to. Whatever your business needs, by tailoring your printers settings to work exactly how you need them to, you will start to increase productivity instantly. Wireless printing is an incredibly convenient feature for businesses, as it allows staff members to print from anywhere in an office. Staff members are not tied to their desks, and they no longer have to be in one location to be able to print documents from their machines. It also removes unsightly tangled cables from running across the entire office. Some multifunction printers even offer mobile printing, which allows staff to print from any device while they are connected to the printer. Not only does this eliminate the need to transfer files from mobile to desktop before printing, and therefore saving time, it is also easy for staff members who work away from their desks or are often in meetings. Treat your printer like you would any other device you use during your work day. It requires the same amount of care and attention as your computer or your mobile phone when it comes to preserving its performance. To make your multifunction printer last, it is important that you maintain them to a high standard. This includes keeping the printers dust free, cleaning the scanner glass properly, and checking ink and toner levels. Cleaning your printer is simple and beneficial in the long run a lint free cleaning cloth and glass cleaner can make a huge different to your printers performance. Not only does this allow you to get your moneys worth from the machines and ensures continued high quality printing and scanning, it also helps to avoid unexpected breakdowns and errors with the machine.